The radio is present in all apartments, unless the owners abandoned it. 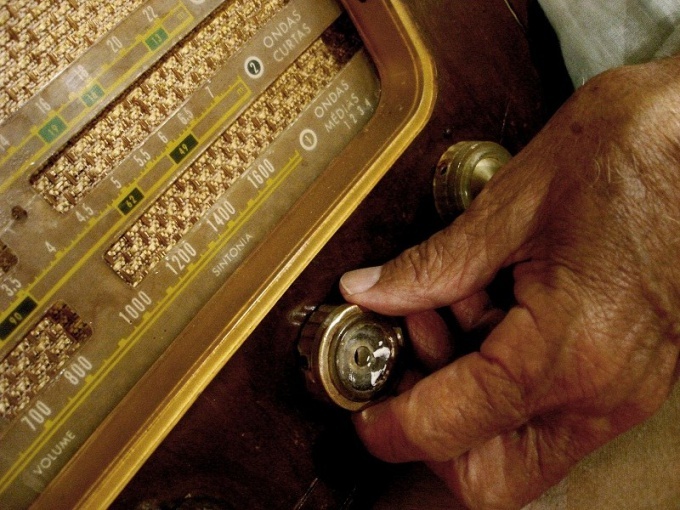 Before wired radio played in people's lives a big role. They woke up to the sounds, listening to news, music or theatrical performances. Today, wired, radio listens to a very small number of people, but you pay for it all, who do not refuse from this service. - certificate of absence of debts. To disconnect a wired radio in Moscow, you have come to the FSUE "Moscow city radio broadcasting network", which will issue the Application form for waiver of radio receiving and receipt for fee payment (off – charge). FSUE radio Broadcasting network is located at the address: Moscow, ul Usievicha, d. 18, korp. A. Now pay legal costs. Theoretically, this can be done at any Bank, but they all, with the exception of Sberbank of charge. That is why the FSUE "Moscow city radio broadcasting network" recommends to pay the bill in the savings Bank, any branch. Be sure to save the receipt. Next you need to make sure that you do not have debts on payment for a radio receiving station. This can be done in GU is (previously this body was called EIRC), ZHKO or HBC, depending on how organized the housing authority. There request will be given a certificate stating that the debts on payment of radio broadcasting no. When stamp duty is paid, go back to the reception broadcasting services. You need to have a passport, a completed application for a waiver of the loudspeaker, the inquiry about absence of debts, and receipt on duty payment from the Bank. If all documents are in order, the operator will appoint the day on which the electrician to dismantle the apartment is wired radio. On this day you should be at home. The worker turned off the radio and leave a notice about that in the future the monthly fee for the service will not be charged. There is a phone number where you can clarify the information necessary to disconnect the radio receiving: (495) 772-77-99. Any information may be obtained from the FSUE "Moscow city radio broadcasting network". If you live in Zelenograd, it is necessary to address to other address: Zelenograd, building 123, 2nd floor. Phone office: (499) 735-24-16. If payment is made through a Single payment document, or the ENP, to abandon the stations in GU is (EIRTS or) neighborhood. 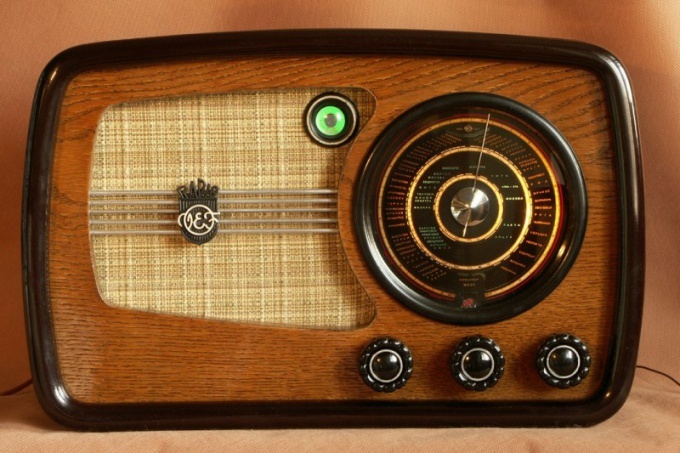 When the person who furnished the radio, may not be to abandon it in person, it can be represented by a person having a notarized power of attorney. 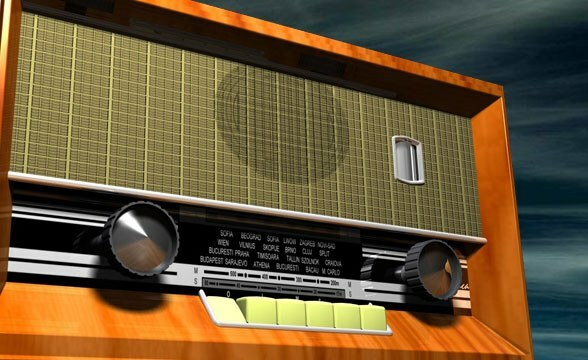 Nowadays few people use stationary radio receiving station installed in each apartment by default. However, this service is regularly billed for utility services. In order not to pay from year to year extra, disable the radio in his apartment. Go to the office of a radio network in your city. There you will be given the application for disconnection of a radio receiving station and a receipt for payment of this service (amount is quite small). The statement will need to specify how many radio sets in your apartment. Many it leads to a dead end, because the sockets are often hidden behind furniture, or under carpeting, and their location all was forgiven. In this case, just write that you have 1 socket. Pay for the service outage. You can do it in Sberbank without the Commission or any other Bank (they can already receive the additional amount of fee). Then you return to the window of the public reception of the radio network and provide a passport application, a receipt, a certificate on absence of debts on payment of the wired radio. If all documents are in order, the operator will designate a day when you need an electrician to directly disable radio. On the appointed day, the installer will check the presence in the apartment cable radio (if available), and disconnects the connection. After work, he will issue a notice confirming that you now have radios and, therefore, the fee is not charged for it. The notice you need to go to HBC or HCS. The charging is terminated from the date of receipt of the application to disable the loudspeaker. To disable a point, you need to go through all of the steps. You can't just stop paying for radio on the basis that it is not in use. In this case, you will face trial. Even if you win, your time and your nerves no return. The loudspeaker must always be set in all apartments. However, I use them not all. The owner or tenant is not required to pay for a service that he did not need. He has every right to refuse, only it must be done in accordance with the Russian legislation. - the form of the disclaimer. - money to pay for the failure. Review your receipts for utilities. In different cities consumers pay for radiopoint to various organizations. In Moscow, it is a broadcasting network in the smaller towns most often this function is performed by branches of "Rostelecom". The payment can go through management companies, HOAs and other organizations. Find out who is the provider of this service in your community. Make a photocopy of your passport, including page with registration. If you are not registered in this apartment, copy of the certificate of ownership. In "the Moscow broadcasting network" these documents are necessary, in the branches of JSC "Rostelecom" they may not require. Pay all the debts of the radiopoint. Do not expect that you can turn off the radiodot for non-payment. Of course, you can go to the conflict, neatly crossing out that line from receipts. But for unformed rejection will have to pay the vendor, such as a management company. In the end we have to sue. Because your actions become detrimental to the organization, not the fact that you win the process. Pay the ticket off. This is best done through Sberbank. The details are there. If you are going to pay through another Bank, locate the desired data on the website broadcasting network. Upon receipt of the application, you must set the date and time of arrival of the master. He will perform the necessary work and issue you with the relevant document about the absence of the loudspeaker. If you pay via a broadcasting network or a branch of Rostelecom, it is no more action you take not need. If the receipts came from the management company or other utilities, you need to notify. 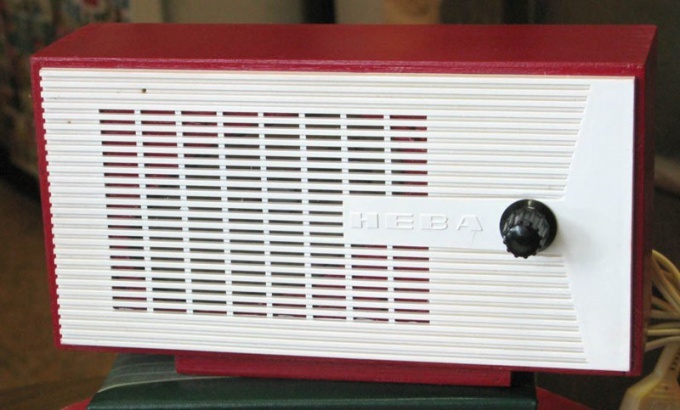 The development of modern technologies in the field of electronics have led to the fact that much less steel to be used when connected to the flat cable radio. To vain not to pay for unnecessary broadcasts, you can officially reject it. If you live in Moscow, to turn off the cable radio contact to reception of the population of the Moscow city radio broadcasting network (FGUP MGRS), located at the address: Semenovsky Val 4. Get and complete the form of the official statement and receipt for paying off the loudspeaker. After you pay work to turn off the loudspeaker in one of the branches of the savings Bank, present in the receiver box companies, FGUP MGRS set of the following documents: filled in accordance with the prescribed form a statement asking off radio; personal passport; a certificate from ZHKO, HBC or GU is about your lack of debts on payment of services of wire broadcasting; receipt of payment for work on the off the loudspeaker. If for some reason you are unable to contact this organization for you, it can make a person representing your interests. In addition to the above documents, he must present a notarized power of attorney for the implementation of these actions. Or apply to disable the radio receiving station, in accordance with the form of organization and with a notarized signature of the chief tenant. After all formalities are met, the operator MGRS will set a date for the visit of an electrician to turn off the radios in the apartment. He, after the restoration, will give you a certificate about the termination of the supply of services which you will need to provide in FGUP MGRS. You can visit the official website of the organization FGUP MGRS to solve any additional issues. The principle of operation of this algorithm extends to other regions of Russia, changes only the address of the organization to which you want to apply to submit an application about disabling the loudspeaker. 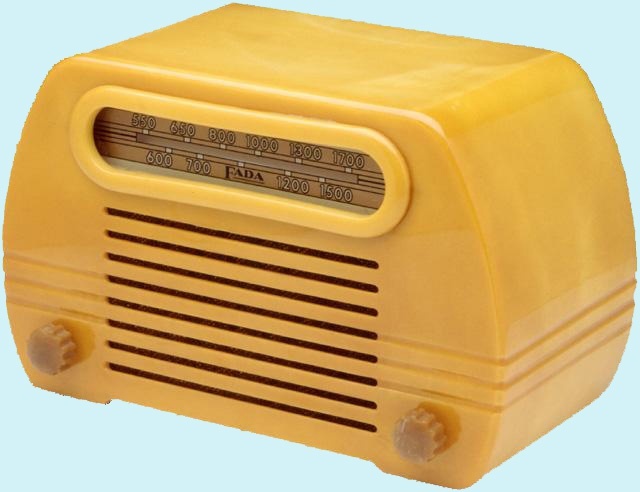 For years not to use the radio in the kitchen, but you have to pay for it anyway. Even if the outlet for the receiver has long pasted Wallpaper – bills for service that you do not use, come regularly. In order not to pay for radio, you have to first run "the chain of command". Disable the "failure to pay" urban radio network can not – it is considered the primary notification method for emergencies. Therefore, even if you have years to ignore the account for the use of the radio – this will only lead to the fact that the debt will accumulate, disconnection of service for non-payment in this case is impossible. It can be made only under the personal statement of the owner (responsible tenant or owner in whose name the radio) or by notarized proxy. Please contact the office of the broadcasting networks in your city. There you will be given an application form to disable the loudspeaker. In addition, you must obtain the receipt form on payment of work of the electrician, which will disable the radio in your apartment (it is a paid service, its cost is relatively small and is comparable with the subscription fee for the month). Receipt you can pay at the post office or at any Bank. The best option – "savings", here you will not require a fee. If you already have debt for the radio – it will have to pay in full and receive the HBC or a Single settlement center certificate of absence of debt. Otherwise the application for disconnection, you will not take. Again visit the office of the city radio transmission network, having at itself the passport, a completed application for disconnection, a certificate on absence of debts, and receipt, proof of payment to installer. After receiving the application will tell you the date when the physical disconnection of a radio receiving station. In the stipulated day will come to you the fitter and, having done the necessary work, will give you notice of the disconnection of the apartment from wired radio. To show the document about disabling the HBC or the common settlement centre. And only after you do that, the monthly fee for the use of the radio will cease to accrue. The date of disconnection will be considered the date of application in CTA.